Georgian Business and Equity Management Company – GBEMC- was founded on 26 March 2013. Our mission is to support the existence of as many business entities and organizations in Georgia as possible, which have development strategies and to implement them, they effectively manage their activities, human resources and equity. Our most valuable assets are our experience, knowledge and reputation. c) Increase their share of the market, retain and/or keep the position of the leader in the market. – First of all, in each area of our services, we care about the ability to save the client’s expenses, their optimization and efficiency. Additionally, apart from salary payments, liabilities under the labor legislation and administrative expenditures are high – business development, marketing, finance, accounting, legal and human resources management staff, furniture, computer equipment and various inventory. Our client-organizations are less likely to have such expenses. – The more you are involved in the daily management of operations and the so-called “Routine”, the less time you have for business development. Founders and top management of our client-organizations spend less time on daily routines. Time is released for business development, which is a prerequisite for rapid growth and gain advantage over competitors. – There is a high chance that employees do not do their job properly or don’t work at all, chance of material damages, information flows and risks of violating confidentiality from unqualified and unlawful employees in the organization. Our clients have contact with our management company. This is Business to Business communication, which is why the risks mentioned above are minimized, since we primarily care of our reputation and customer satisfaction. Moreover, we control the productivity of your staff, take care of their qualification and increase loyalty towards the organization. General Management and Finance Specialist – Top Managerial positions in commercial banks, leasing, manufacturing, retail and wholesale trade management with 16 years of work experience, including: Founder and Managing Partner of GBEMC Since 2013, “G.D Alco” LLC financial director and deputy director of “Nugeshi“ LLC in 2014-2015, Executive Director of “Winery Khareba” LLC in 2012-2013, Deputy Director of “HeidelbergCement Caucasus” LLC in 2009 – 2012, Head of the Internal Audit Director and Consolidation (IFRS / IAS) Head of JSC Bank of Georgia in 2006-2009. 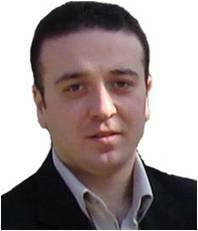 Co-founder and financial director of the first leasing company in Georgia – “Georgian Leasing Company” in 2001 – 2002. Graduated from Ivane Javakhishvili Tbilisi State University, Faculty of Economics, Specialty Finance and Banking. He is a Bachelor and a Master of Economics. He graduated from Tbilisi Free University, ESM Business School. Master of Business Administration (MBA) degree, specialty: General Management. He speaks English and Russian languages. Accounting – Tax Consultant and Specialist – 12 years of experience in the field of tax policy and methodology in the Ministry of Finance. Graduated from Ivane Javakhishvili Tbilisi State University, Faculty of Economics, Specialty Finance and Banking. He is a Bachelor of Economics, Master and Aspirant. Over the years, he was the International Monetary Fund consultant. 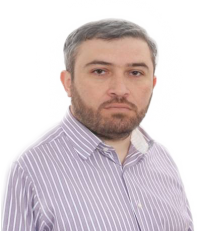 He is a member of the Board of Independent Experts Association of Georgia. He speaks English and Russian languages.